This Crime Stoppers Program began in 1983 from the efforts of our City Commission and our Police Department. Our Program now operates as an independant organization. The concept has developed into a combination of efforts by local media, businesses, civic and social clubs, law enforcement agencies, and the public. Donations of airtime, newspaper space, and reward monies have established Crime Stoppers as an effective tool to fight crime in the area. To date, over 3,127 arrests and over $22 million in property and seized narcotics recovered. Major Jules Broussard Coordinator, Lafayette Parish S.O. 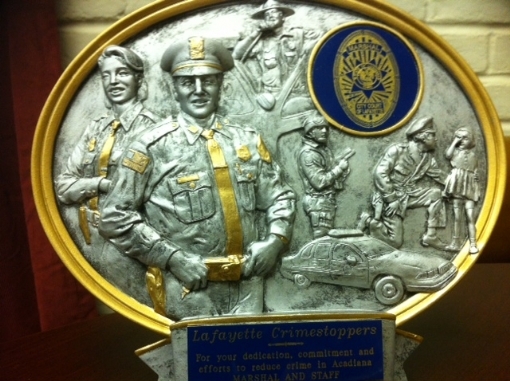 In 2007, the Lafayette Police Department entered into an agreement with the Lafayette Parish School Board to provide police officers to work on school campuses. Initially the program consisted of 4 police officers who worked on all of the high school campuses within the City of Lafayette. During the 2008–2009 school years, the program was expanded to all middle and high schools through out Lafayette Parish. Schools located outside of the City of Lafayette are patrolled by their respective law enforcement jurisdictions. 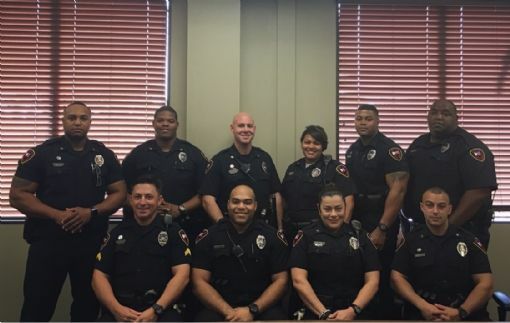 The Lafayette Police Department provides 8 police officers who are trained not only to respond to school campus issues, but also on conflict resolution. With the officers located on the campus, they can immediately respond to any problems or issues that would require a law enforcement action. The officers also mentor the students and teach classes. Their presence allows officers to forge bonds with the students allowing them to gather crucial information on crimes committed on campus. Each school campus has an effective Crime Stoppers Program that pays students who provide information that solves crimes on campus.